Business Description Messages & more, Inc. is a FLAGSTAFF, AZ based company offering a wide array of services and products to meet your telecommunications needs. We have been a leading provider of professional communication services since 1982. 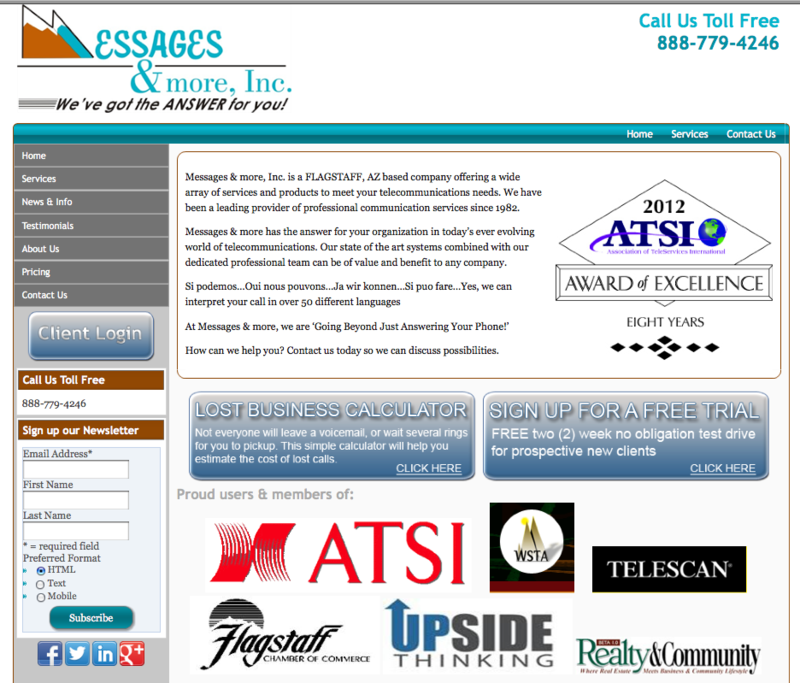 Messages & more has the answer for your organization in today’s ever evolving world of telecommunications. Our state of the art systems combined with our dedicated professional team can be of value and benefit to any company. Si podemos…Oui nous pouvons…Ja wir konnen…Si puo fare…Yes, we can interpret your call in over 50 different languages At Messages & more, we are ‘Going Beyond Just Answering Your Phone!’ How can we help you? Contact us today so we can discuss possibilities.